Elizabeth A. Perrong has been appointed Vice President of Human Resources for Eagleville Hospital. In this position, which Elizabeth assumed in January, she oversees all personnel matters, from recruitment and retention to training and performance management, and, “most importantly,” she says, employee engagement. Perrong has over 25 years of experience as a human resources executive, including 15 years in health care and more than 20 years in labor relations. She served as the vice president of human resources at Hazelton General Hospital in Hazelton, Pennsylvania, and senior vice president of human resources and compliance for Specialty Health, LLC, which, at the time, had facilities in Pennsylvania, Indiana, and Michigan. 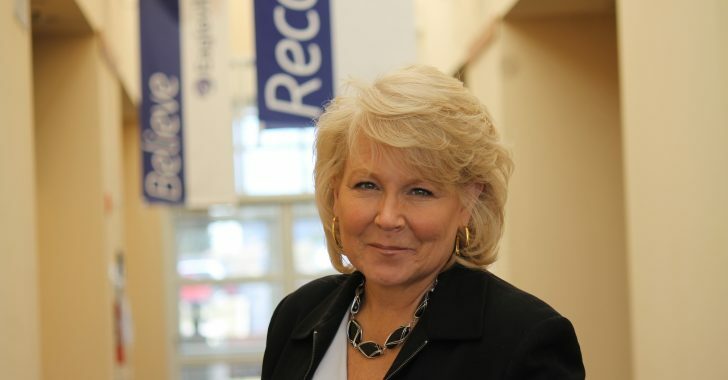 Elizabeth has also worked in the manufacturing sector, most recently for Dean Foods, for which she was the Mid-Atlantic divisional director of human resources, a territory that encompassed 14 locations across six states. In that spirit, Elizabeth is overseeing a number of special projects, including the implementation of a comprehensive training and development program for all levels of the organization at Eagleville Hospital. She’s also implementing a structured communications plan as well as avenues to enhance employee engagement. Elizabeth holds a Bachelor of Arts degree from Bloomsburg University in mass communications (she minored in personnel management) and a Master of Science degree from the University of Leicester, Leicester, England, in human resources and organizational development. She’s also a certified Senior Professional in Human Resources (SPHR) and a SHRM-SCP. Elizabeth has been a volunteer with the United Way for the last 20 years and the Make-A-Wish Foundation for the last five years.